This is a book series list that's made for your kindle. It is a simple to follow checklist that consists of all of Nalini Singh's work. This book is free with an Amazon Unlimited subscription. All of the information is available on the authors website. This kindle only list allows you to conveniently look at all of the author's work without having to be connected to the internet. This list does comply with the United States Copyright Office circular 34 as it is just a title list showing what year the books in each series and stand alone novels were published. 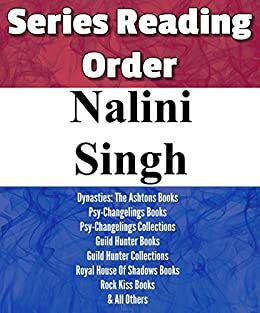 My hopes are that this list is helpful when choosing your next Nalini Singh book to read.